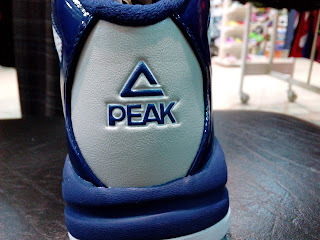 Another budget model from Peak has been sighted. 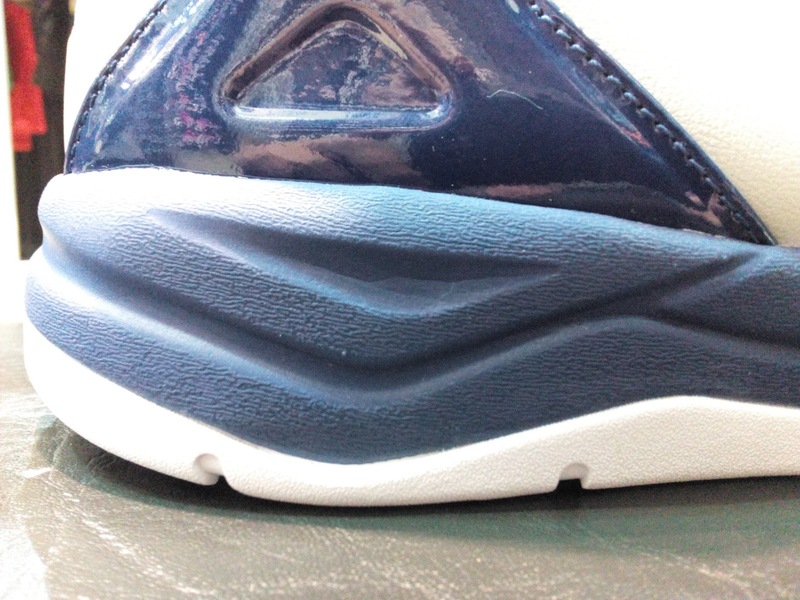 Dubbed as "Alpha", the shoe has a pretty basic and simple look. 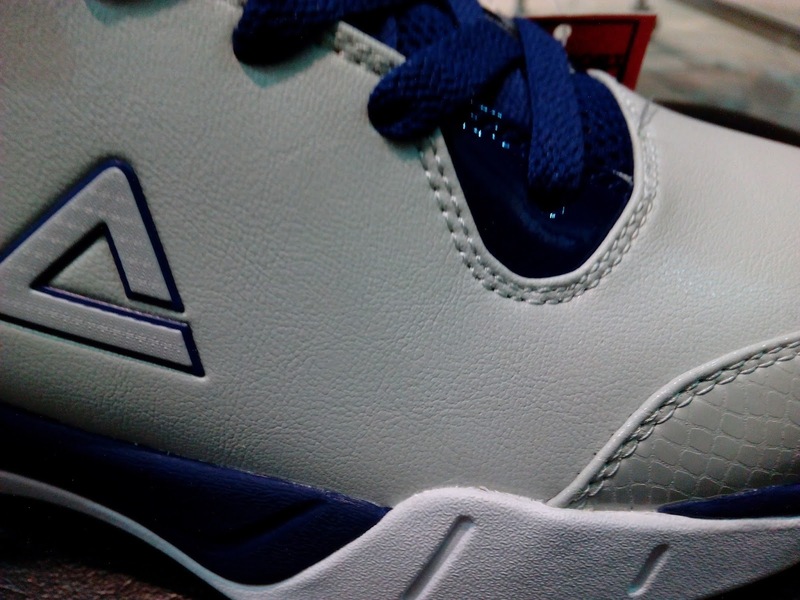 Synthetic leather for the upper was used with different textures like a patent leather type material on the heel and ankle and a snake skin pattern on the toe guard. 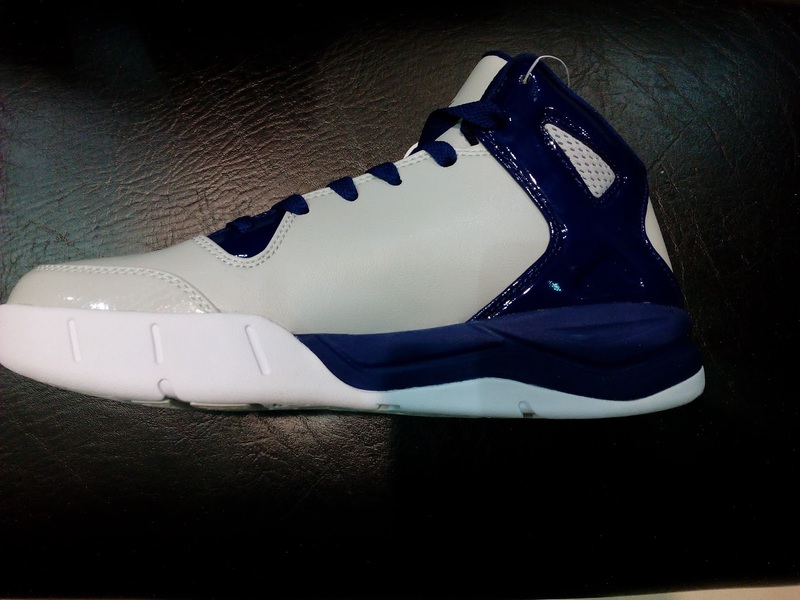 The silhouette is clean in my opinion. This is a budget model so Peak just utilized their standard foam with some grooves to facilitate compression upon hard landings. 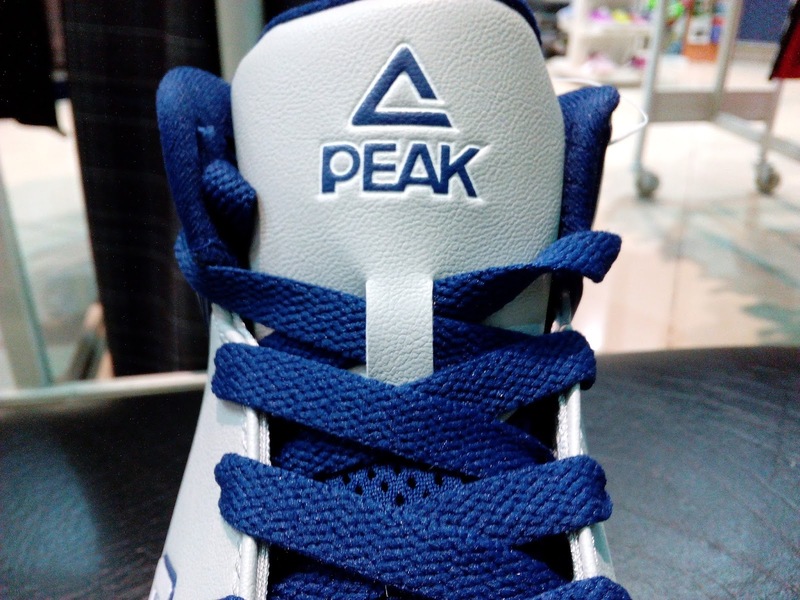 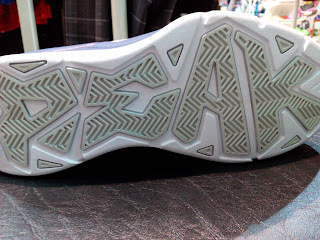 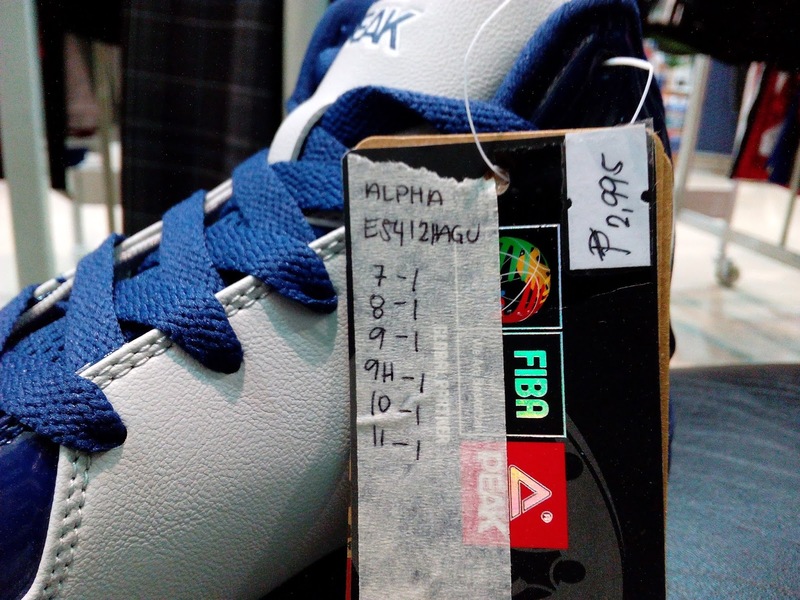 A nice touch that I observed was the outsole composed of a solid rubbed with segmented or cut-out like herringbone pattern spelling the word "Peak". 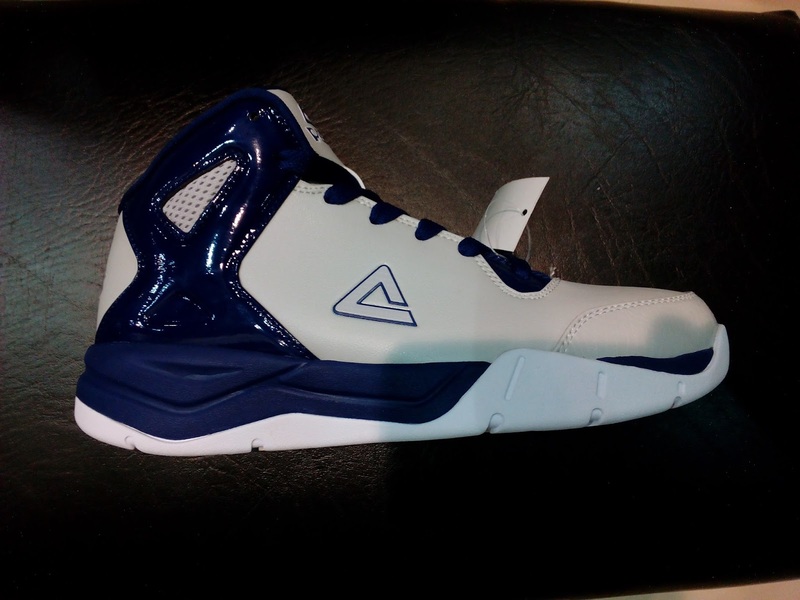 These are available at Olympic Village Trinoma for Php 2,995.